Not everyone can go to the flower market and make a beautiful bouquet for special occasions. That’s why flower delivery in Singapore is such a convenient service for people like us who are not crafty or are simply too busy to walk into a flower shop to pick out cut flowers. Sometimes, we just need to send a bouquet, flower box or flower stand right away, perhaps to wish speedy recovery to a friend who was unexpectedly hospitalised or send condolences to grieving loved ones. The good news is that there are tons of online florists in Singapore offering same day flower delivery, though it may be time-consuming to go through each one just to find a reliable service. To save you the time and effort, we have narrowed down some of the fastest and most reliable same day flower delivery in Singapore into this top 10 list. Her Flowers has large and lush hand bouquets which are surprisingly affordable. While they only have a small selection of flower arrangements, the curated collection does cover all major events and occasions like Valentine’s Day, Mother’s Day, birthdays and anniversaries. They also offer vase arrangements and table arrangements for funerals as well as flower stands for grand openings. 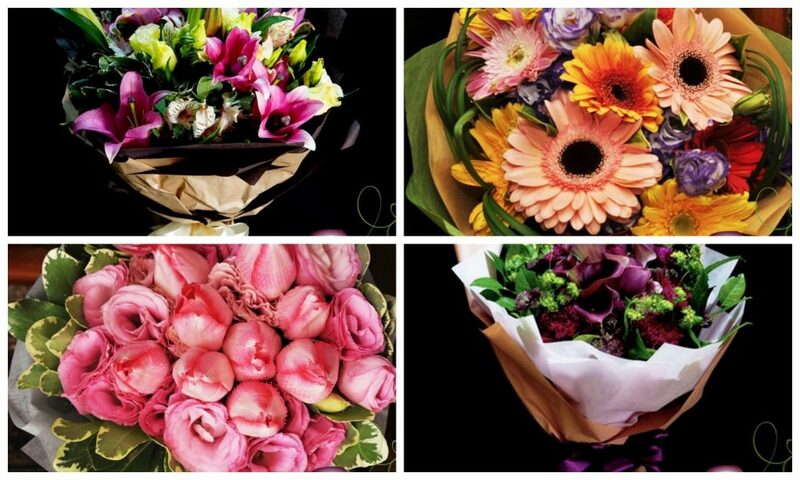 Standard delivery is free to all Singapore locations, including their same day flower delivery service. Their daily delivery timeslots are 9-12pm, 12-3pm and 3-6pm. Mason jars, burlap, twine-wrapped containers and glass vessels are just some of the creative ways A Better Florist packages their bouquets and flower designs. Though the real impressive thing about them is their lightning-fast and free same day flower delivery service in Singapore, so long as you complete your transaction before 3PM. Not fast enough? 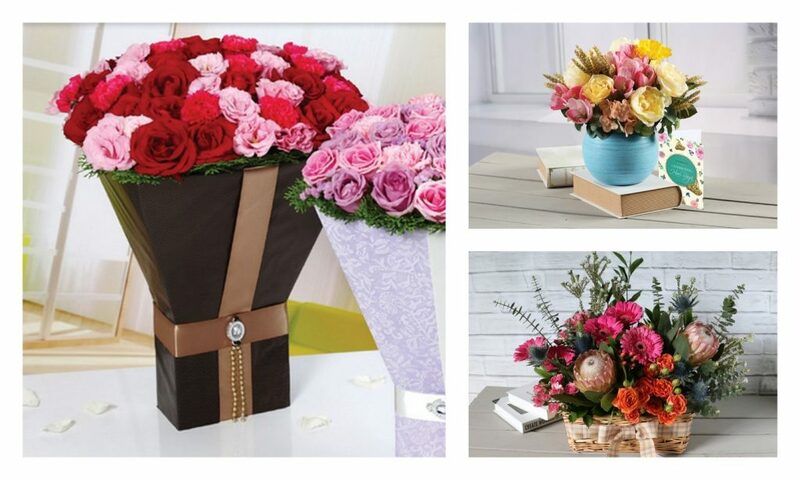 Try out express flowers which delivers your order within 90 minutes! 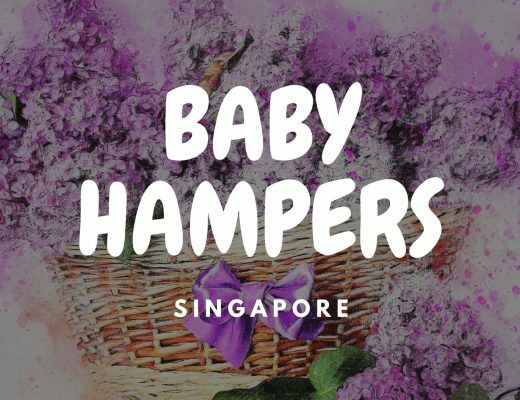 Their expertise are flower arrangements for weddings and events, but they also sell retail bouquets for tech-savvy customers needing a quick delivery of flowers in Singapore. 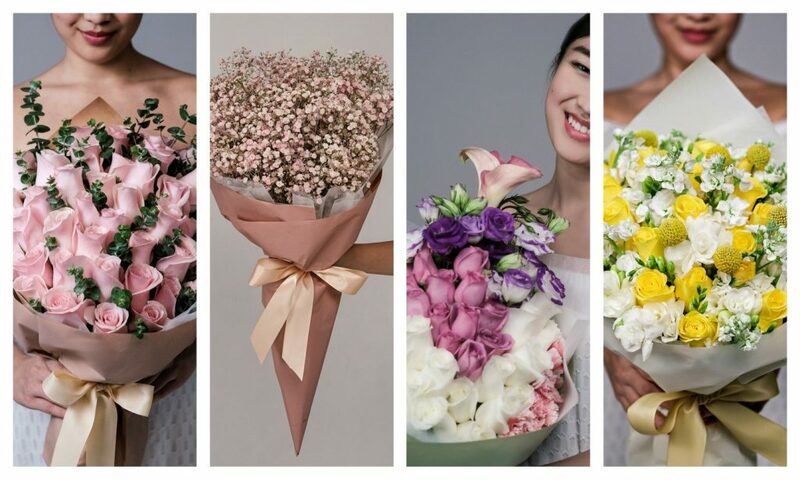 Product prices already include the delivery charge, but there is an additional surcharge of $10 for flower delivery to Army Camps, Sentosa, Changi Cargo Complex, Alps Avenue, PSA Ports and All Universities and Polytechnics. Started in 1990, Hazel Florist has grown their floral catalog to include different flower varieties – especially seasonal ones. As a testament to their florists’ skills, the shop currently has over 1,000 artistic floral designs in their online offerings. Katong Flower Shop has been around since 1948. They have a large selection of flowers for all occasions and options from cheap flowers to deluxe bouquets. 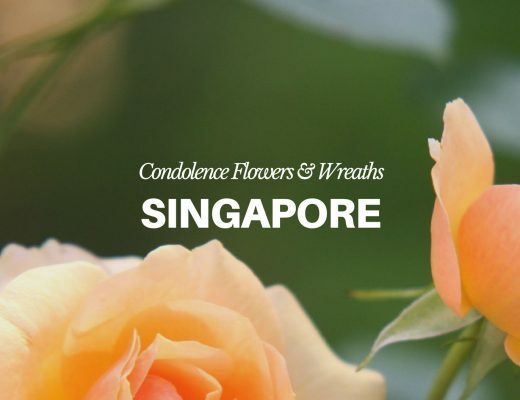 They provide free flower delivery island-wide except for Sentosa or on-board vessels where an additional $21.40 delivery surcharge applies. To get your flowers within the day, purchases must be made before 2pm. Best known for their long-lasting daily surprise bunches that don’t cost the earth, the people at Urban Meadow believe in making the small moments special and the big occasions perfect! 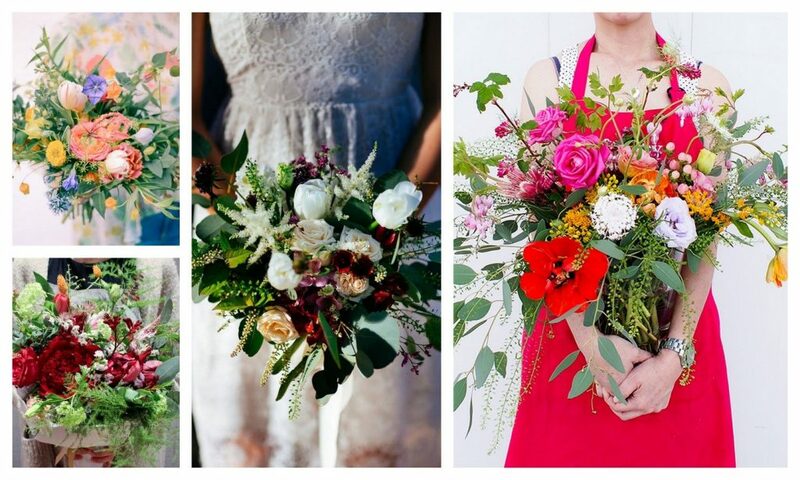 They are inspired by nature’s wild meadows and use the freshest flowers in Singapore to handcraft their bunches. To make it fast and simple for customers to buy flowers online, they design one arrangement of flowers per day instead of overwhelming them with endless options. Plus, you can make someone smile for just SG$35 including delivery. What’s better than that? 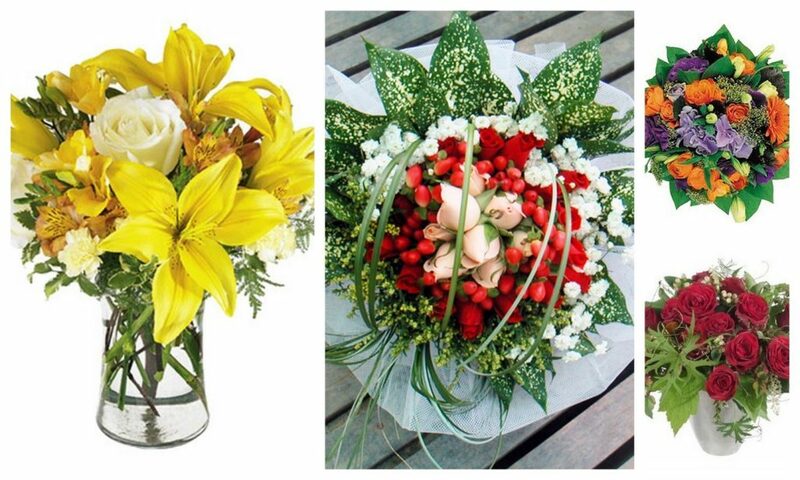 Founded in 1966, Prince’s Flower Shop provides flowers for all occasions available for flower delivery in Singapore. From birthdays to grand openings and Valentine’s Day, their wide selection of floral designs allows customers to conveniently buy flowers online for free same day delivery island-wide. Their modern hand bouquets are particularly lovely and suitable for surprising your significant other or simply to make a regular day extra special with a surprise flower delivery. Established in 1982, June Florist specialises in large scale floral arrangements for special events, including wedding and banquet decorations, flower arrangements, decorations for conferences as well as exhibitions. Their extensive experience and in-depth knowledge of all aspects of wedding planning allows them to help numerous couples create their dream weddings with high quality, creative floral designs. You can also order online for individual bouquets and arrangements professionally handcrafted for all occasions. 1 Florist & Gifts has all your floral needs covered. Their online catalogue spans all personal milestones, holidays and occasions, so any customer can find the perfect gift for friends, colleagues, family and loved ones. FlowerEmpire, a Singapore-based bespoke florist, creates chic and outstanding celebratory bouquets and floral designs for weddings, events, photoshoots and workshops. The owner, a European floral designer and decorator based in Singapore, has over 10 years of experience. Customers can purchase her floral designs and compositions online which showcases a diverse range of original, luxe bouquets and arrangements suitable for any occasion. Mood Fleur is a floral art studio based in Singapore. They specialise in various floral works, including daily bouquets, floral styling for weddings & events, floral jams and workshops. Customers can conveniently buy flowers to surprise loved ones with same day delivery. Couples can also rest easy as Mood Fleur takes care of the floral details, from bridal bouquets, bridal car decorations to wedding decorations. DELIVERY FEE Free delivery for purchase S$150 & above, otherwise S$10 flat fee is applicable. Daisiesfield offers elegant and premium quality of preserved flowers imported from Japan. Each of the flower art piece is created with love by certified artisan to create gorgeous flower arrangements which last for months and beyond. Little maintenance is required with no water or sunlight needed. You can now keep your flowers longer and more meaningfully. Contact us for bespoke flower gifts or wedding accessories now. You can get a single stem of cut flower for as low as $11 to a premium arrangement of peonies for $180. So Floral Garage definitely caters to all budgets. But if you don’t have the time to browse through their wide selection of bouquets and baskets, they have a freestyle service where you just tell them the bouquet’s recipient, the occasion and your preferred style, then their florist will create a customised arrangement for you. 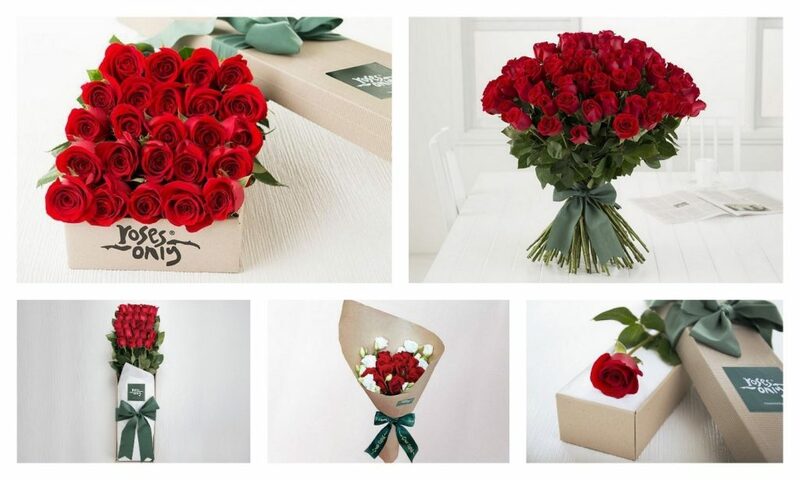 Order before 3pm to get same day flower delivery in Singapore. Their delivery times are 10am to 2pm, 1:30 pm to 5pm, and 5pm to 10pm. Poppy Floral Studio manages to use wildflowers and filler foliage to make their flower arrangements look farm-fresh and blooming. Their signature aesthetic has that laid-back and freshly-picked touch. Expect your bohemian blooms to be delivered to your doorstep in perfect condition with a standard fee of $25. Just make sure your order before 2pm. Hazel Florist has a variety of packaging options for your fresh flowers, from baskets to flower cones and transparent bags. 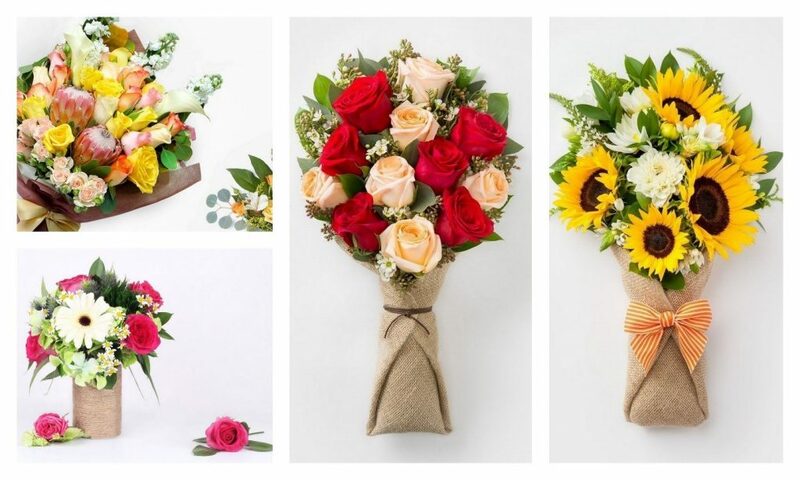 If you just want to send a gift without burdening the recipient with flower upkeep, Hazel Florist also has a range of natural-looking artificial blooms. There is a surcharge of $20 for deliveries to Singapore islands (e.g. Sentosa and Jurong Island) and restricted areas such as the Airport Passenger Terminals, Airport Cargo Complex, PSA ports and military camps. 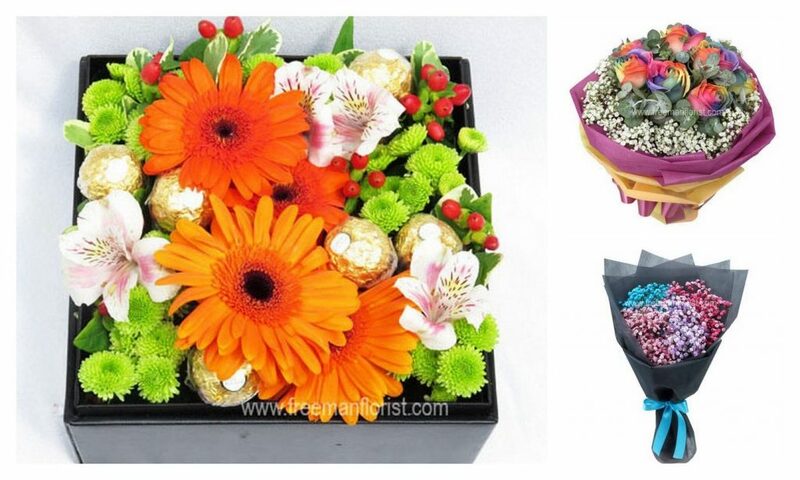 Order before 3pm to avail their same day flower delivery in Singapore. Sing See Soon works with big companies for corporate events. They’ve already worked with The Ritz Carlton and Marina Bay Sands to make their venues more luxurious with their flower arrangements. You can experience the same kind of luxury with their lovely bouquet of fresh flowers. Their flowers are sourced from several countries, including New Zealand, Thailand, India, Malaysia and Holland. To get your order within the day, just pay their standard flower delivery fee of $10. This Australian flower company specialises in roses, but they also have other flower varieties on their online shop. But if you want a lot of options and rose varieties for your flower delivery purchase, then they’re the online florist for you. The classic long-stemmed roses are their specialty, in colourful hues of reds, whites, yellows and purples. Order by 5pm for their free same day flower delivery. If your recipient is environmentally conscious, he/she will love Dancing Petal’s dreamy creations. Dancing Petal’s signature GAIA collection is Singapore’s first 2-in-1 flower bouquet that incorporates a specialized message with an eco-friendly linen wrap. 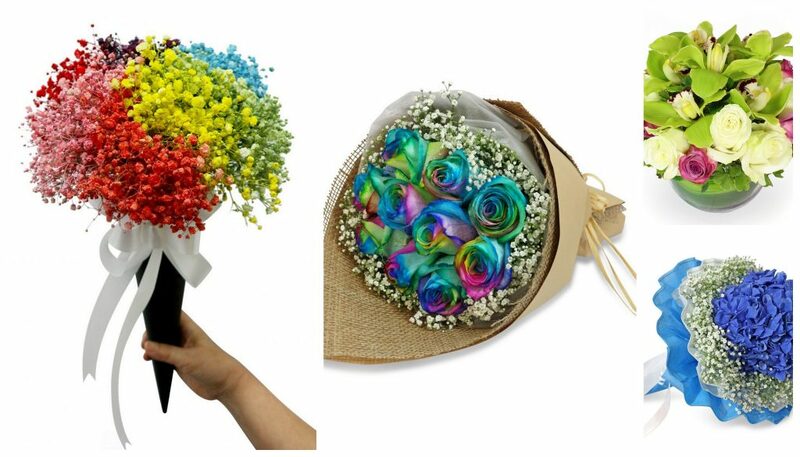 For extra colourful bouquets, you may want to try out rainbow bouquets from Flora Moments. Their flower arrangements are equally colourful and vibrant, so they’re great for happy and festive occasions. You can also customise your order with their online shop’s filter options for occasion, recipient and preferred colour for the bouquet. 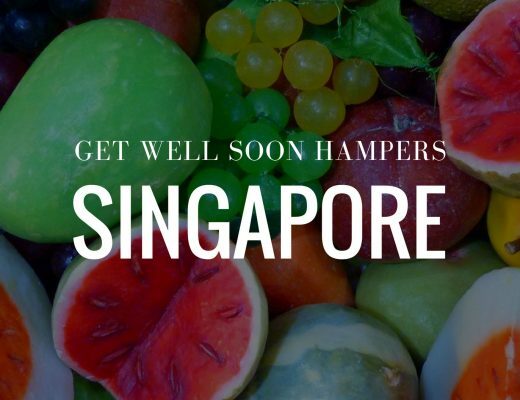 Same day delivery in Singapore is free during regular office hours, but with varying surcharge rates during early morning and late evening deliveries as well as holidays. They have daily deliveries from 7am to 12midnight. Do you want to sweep your loved one off his/her feet with a stunning flower arrangement? 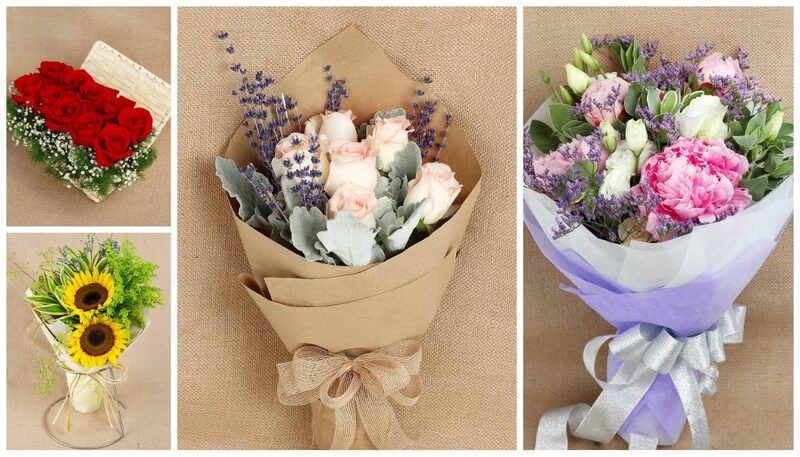 Let Secret Garden help you complete the romantic celebration with their graceful-looking proposal bouquets.